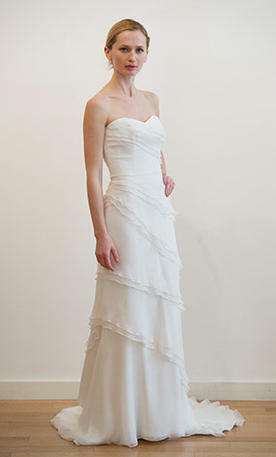 This stunning strapless gown with a sweetheart neckline is made out of 100% Silk. The asymmetrical chiffon layers add the most incredible dimension and "lightness" to this gown. Perfect for an outdoor or destination wedding.